Why Every Dog Should Be Tagged | All Things Woof Meow, Too Inc. Dogs are often described as man’s best friend. As owners we believe that our dog sees us the same way. Yes, they are our pets and yes, they are animals, but we treat them like they are family. To take a quote from a popular Disney Movie, ‘family means nobody gets left behind.’ Losing a dog can be devastating. In case of an emergency, you need to be able to find your pet, or for other people to be able to notify you if they find your furry family member. This is why every dog should be tagged first and foremost. Regardless of what happens, when it comes to the welfare of your dog, consider always keeping a collar and identification tag on them. The American Society for the Prevention of Cruelty to Animals (ASPCA) reported that many stray dogs are lost pets that were not kept properly indoors or provided with identification such as ID tags. In addition, according to the National Council on Pet Population Study and Policy (NCPPSP), about 20% of stray dogs are never returned to their owners. Every dog should wear a collar and tag to provide identification for your pet. Dogs can accidentally get loose or jump a fence for a variety of reasons. To keep your dog from being identified as a stray and impounded, tag him with your personal information. A collar and ID tag is the easiest way to make sure your pet finds its way back to you. Not to mention, it’s also the most economical. Not only does providing a collar and tag for your dog give them identification, it makes leashing them easier. Many owners worry that their dog will get hung up, or that noise from the clinging of the tag will become too distracting in the home. Keep in mind that collars and tags can be customized to you and your dog’s needs. 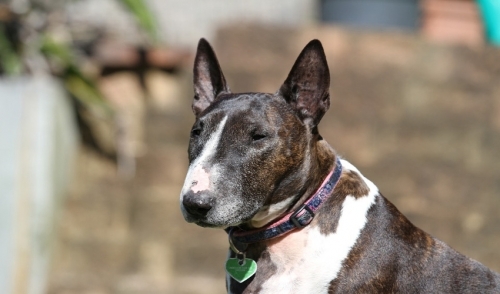 An alternative to providing your dog with an ID tag is microchipping your pet. Microchip dog identification is particularly useful in the return of lost dogs in cases where collars and ID tags have been lost. Microchips are simple. They are an implanted transponder placed under the skin made of inert material meaning it has no power source and will not be rejected by your dog’s body. Imprinted on the microchip is a 15-digit code that is personal to the owner. Yet, even though microchips are important, they do not replace collars and ID tags. IDs are still the primary means to finding your dog if lost. Tagging your pet acts as a form of ensuring animal control to have the information they need to contact you if the dog becomes lost. If you’re like me, your pet is your family. Take the necessary measures to make sure they always stay a part of it.